Grew Up… in Germany – possibly Düsseldorf – in a wealthy family. He was privately tutored as a boy and brought up with principles of respect and politeness, which shows in the way he treats others and converses. Living… in pre-civil war U.S.A. King is a travelling man, unafraid of the open road, and untempted by the civility and ease of bourgeois life. He lives life on his own terms, calling no one place home. Profession… dentist-turned-bounty-hunter. King practiced dentistry until 1853 when unknown events brought about the drastic change in profession. It is possible that the unlawful killing of his brother set King on the path to bounty hunting. In any event, what he does now is fairly simple: he brings fugitives to swift justice and their bodies to the law. Interests… culture and travel. This includes simple pleasures, mainly – schnapps and beer – though one gets the sense Schultz is well versed in high culture as well. Relationship Status… married to Paula Schultz. For whatever reason, his wife is out of the picture while Schultz lives his life on the road. Challenge… gaining the good graces of Calvin Candie. 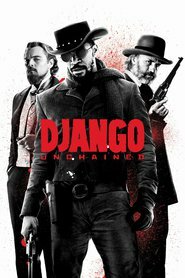 After freeing a slave by the name of Django, King agrees to help Django reunite with his wife, Broomhilda, a slave living on the infamous Candie Land plantation. If he and Django can convince Candie that they are merely there to purchase a Mandingo fighter, they may be able to escape with Broomhilda. But it’s not going to be easy. Personality… legalistic, fastidious, careful, kind, and matter-of-fact. King is fun-loving, but is also very much a businessman. He is about as color-blind as a man of his era can be, willingly helping Django learn the bounty-hunting trade and helping him in his quest to recover his wife. King Schultz's popularity ranking on CharacTour is #1597 out of 5,000+ characters. See our top-ranked characters and read their profiles.